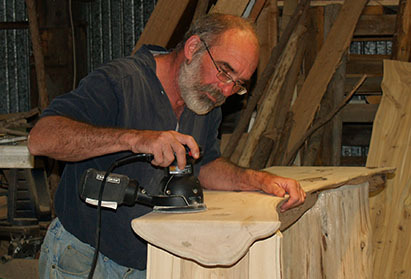 As any true craftsman, Tom enjoys custom work - whether that be crafting unique cedar handrails for indoor installations, special outdoor projects, or revitalizing old pieces. 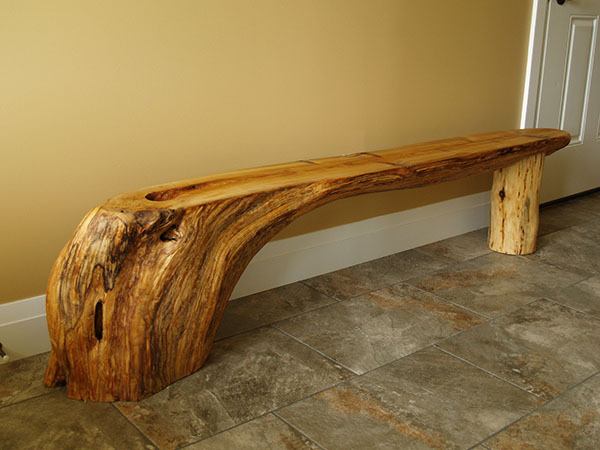 Tom will quote the project, and is prompt in completing it to your satisfaction. 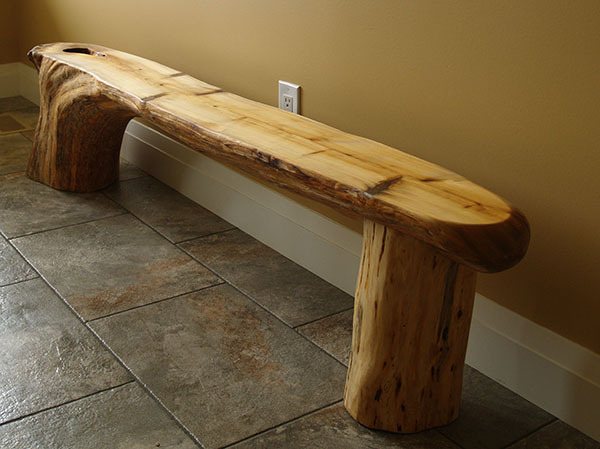 Contact Tom today to discuss your special cedar project! 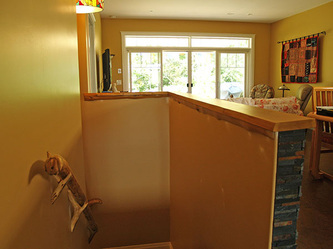 For the galleries below, click one image to see larger view, and click the arrow for previous or next. 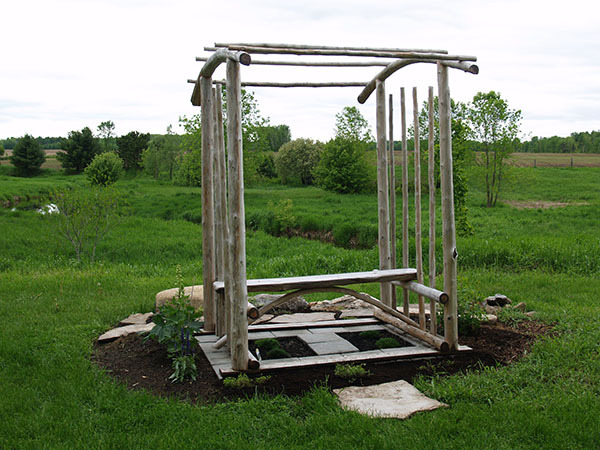 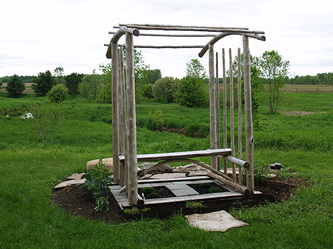 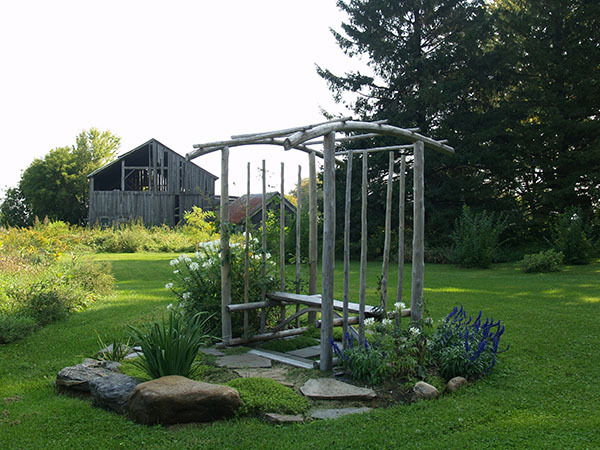 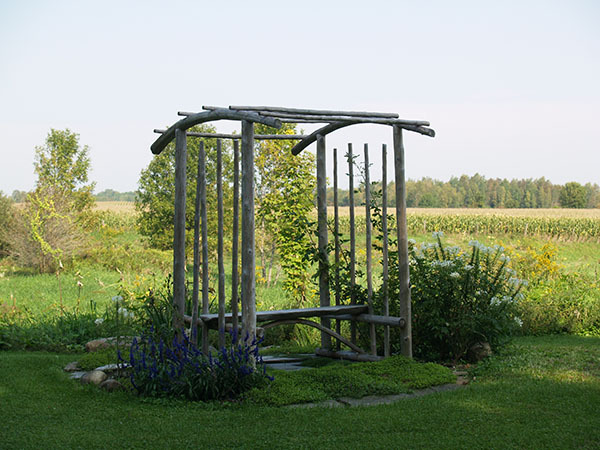 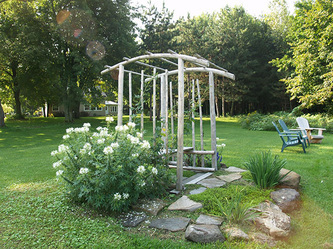 a custom arbour perfectly positioned for contemplating nature on their lovely Spencerville property. Shown are one image from the original installation, and 3 early fall photos of the arbour with Sandra's lovely plantings. 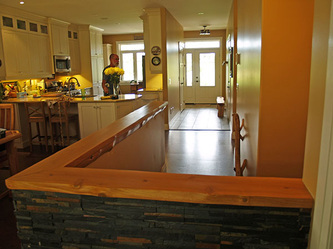 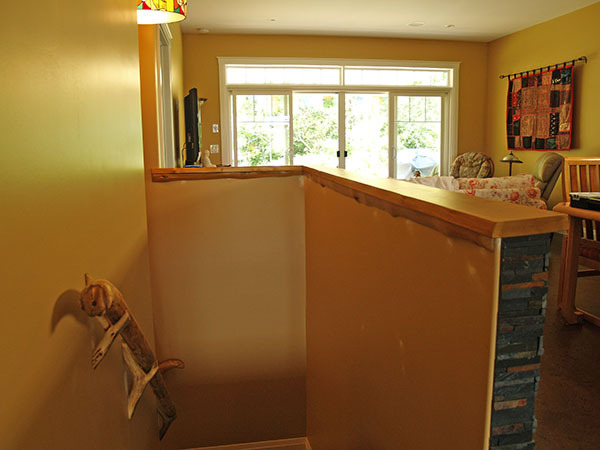 Peggy Gillies, of Brockville, was more than pleased with the custom handrails and half wall capping crafted by Tom. 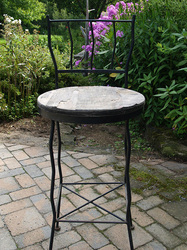 The wood was finished with Delft Oil and will keep it's colour and gleam for a very long time! The Gillies mentioned that the wood work, and the lovely 'Japanese' style bench, and conversation pieces with Peggy's yoga students and guests. 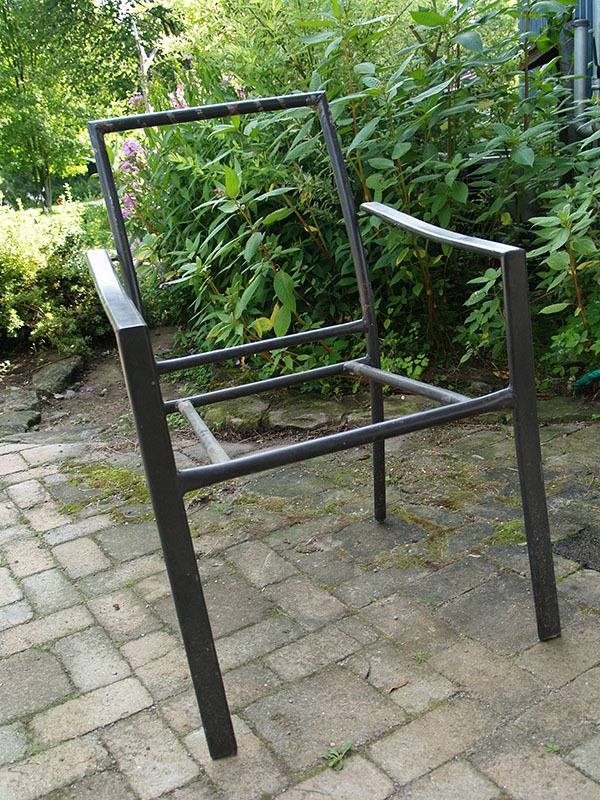 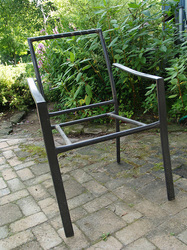 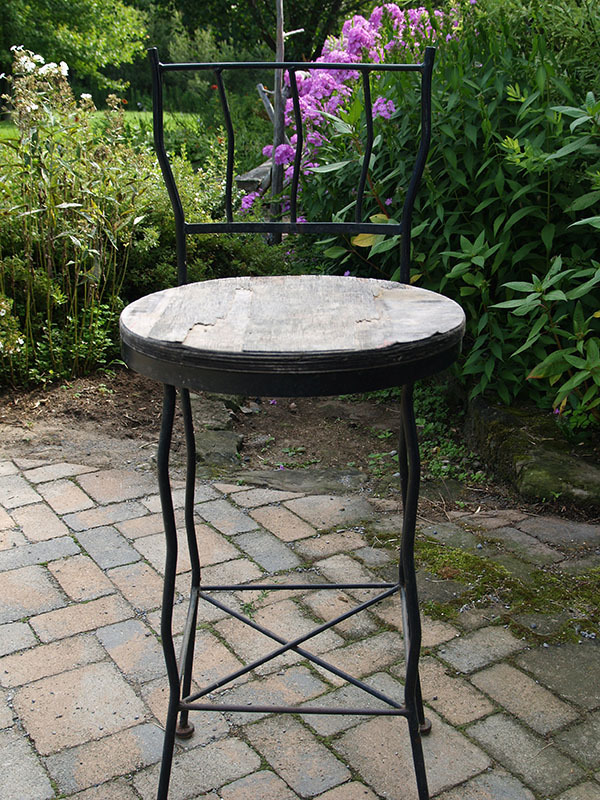 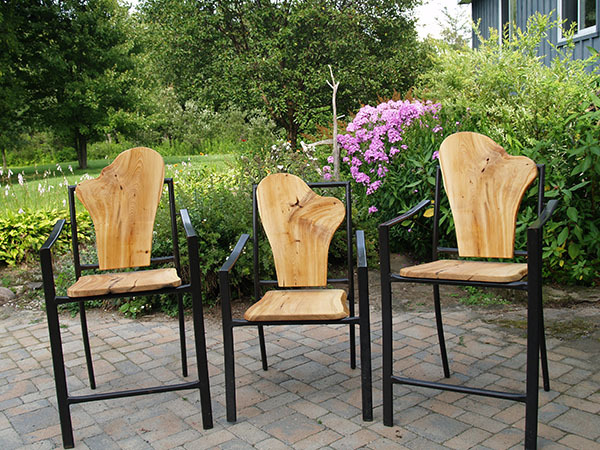 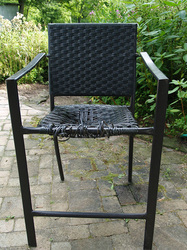 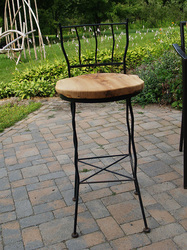 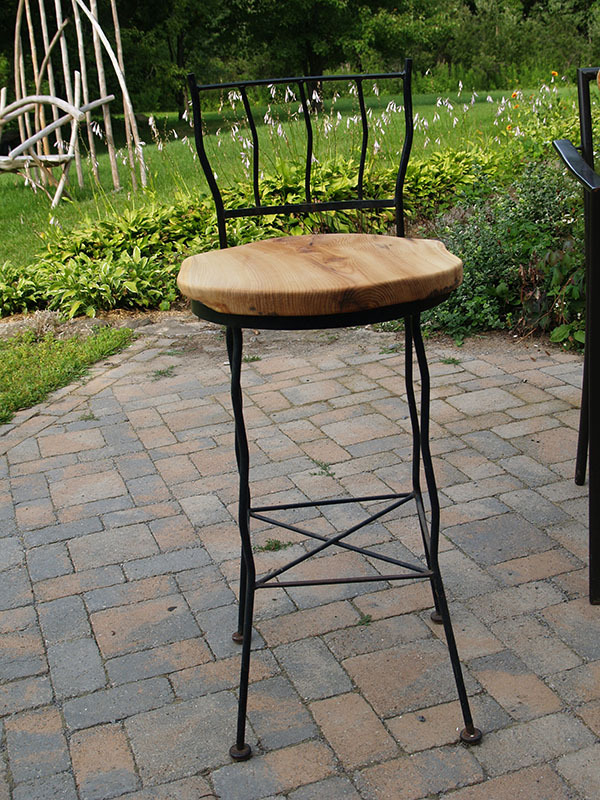 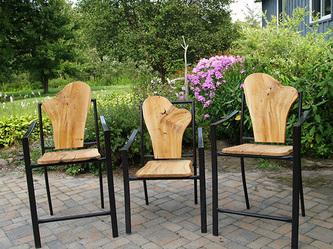 Neighbour, Olga, loved her metal chair frames, but the seating had rotted. 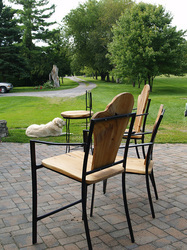 She was very pleased with Tom's creative revitalization! 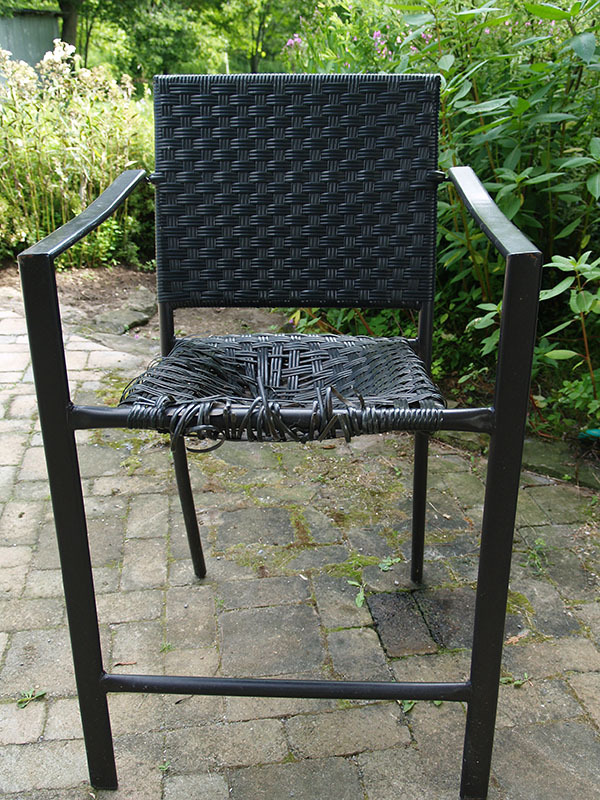 Check out the before and after.